Quote from the movie Cocktail: "Uh, multiple. - Multiple?" When making a customized QR Code, the content of the code is an item that needs some thought. In general it is a good idea to make use of a link forwarding service for the content of the code. This way the success of the code itself can be measured, various statistical information like location, operating system, mobile type, etc can be easily be obtained. On the other hand, a link that also shows your company's name in a URL looks better, but it will require the gathering of the statistical information to be done by your own website. A benefit of a link forwarding system is that the code can be rerouted to different content. 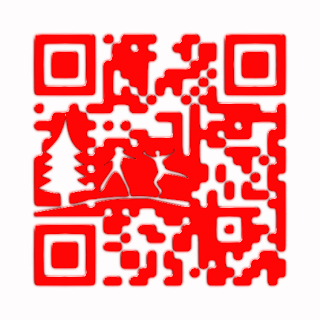 In this way the QR Code itself can be reused in more that one marketing campaign. The drawback of reusing the same code for multiple campaigns is that the statistical data obtained after the re-link is a combination of the old campaign and the new campaign. In order to measure the success of each of the campaigns, each campaigns statistical data needs to be unique. The drawback of this is that the number of QR Code required is equal to the number of campaigns. When a customized QR Code was initially used, each of the uniquely made codes should have the same graphical appeal. As an alternative to the dynamic re-linking QR Codes, a service offered by various companies, an easy Custom QR Code re-link service has been made.